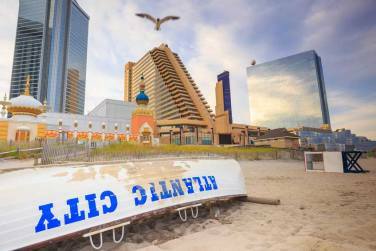 Atlantic City is a popular travel destination with a variety of things to including casino gambling, entertainment and shows, a boardwalk, and excellent restaurants. It features 2,002 guest rooms and suites, 135,000 square feet of gaming, 145 gaming tables, 3,650 slot machines, 11 destination restaurants, 11 retail boutiques, a 50,000 square foot spa, 70,000 square feet of event space, and parking for 7,100 cars. 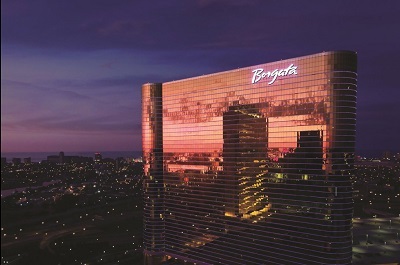 At the Borgata you can choose among six styles, from classic rooms, featuring marbled baths and a shower for two, to studio suites, complete with 42" plasma screens, to piatto suites, which include a separate wet bar and entertainment center. Borgata rooms are reminiscent of finely appointed guest quarters in the home of a close friend.Even for non-gamblers, there is enough to do here for everyone. 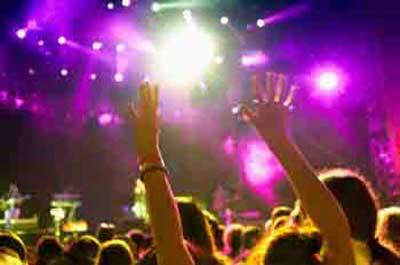 it is a great place for a night or two. 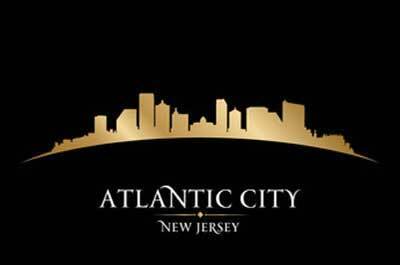 This 43 story, luxury boutique hotel caters to the pampered vacationers where casino gambling is not the primary reason they come to Atlantic city. It attracts a younger, hipper, and richer crowd who enjoys fine dining, top-name entertainment in a luxurious resort environment. 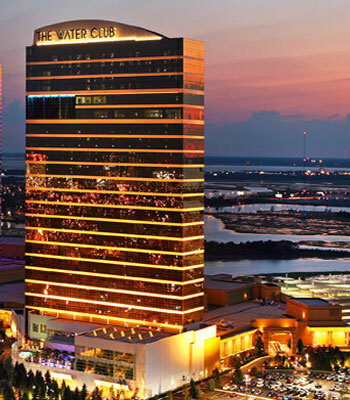 With direct access to and from The Borgata Hotel Casino and Spa, The Water Club features 800 guest rooms and suites; a two-story spa on the 32nd floor, 18,000 square feet of meeting and event space; three Residences; five heated pools (indoor and outdoor), six retail shops including La Perla, Hugo Boss, Just Cavali, and Hearts on Fire. Many other amenities include: a saltwater spa, a state-of-the-art fitness center, bedecked pool, and direct beach access with hotel provided services such as luxurious towels, lounge chairs, umbrellas, and food and beverage service for guests of the Chelsea. 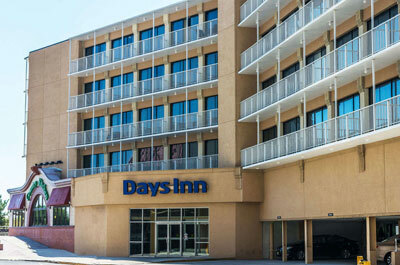 Looking for a reasonably priced hotel on the boardwalk without all the amenities and glitz? 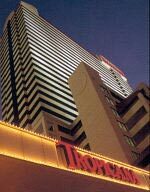 Located next to the Tropicana and just a few blocks from Boardwalk Hall. 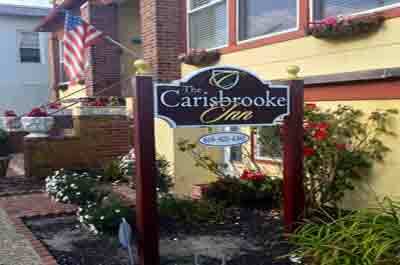 Country Kitchen serves breakfast, lunch & dinner (limited room service available). 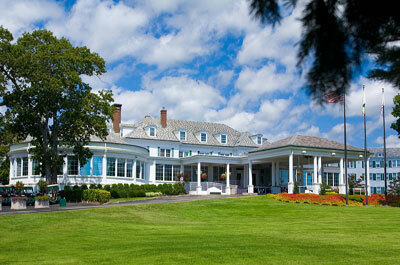 Free parking, outdoor seasonal pool & ocean view rooms. 2 Sunbursts rating. 105 rooms 5 floors. 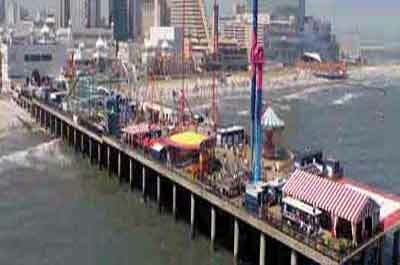 They have some of the best views of the Atlantic City Boardwalk and the Atlantic Ocean. 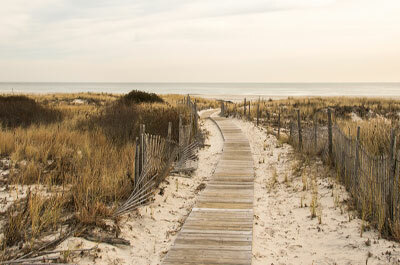 Located a block from the Boardwalk and close to Quarter at Tropicana, Chelsea Harbor, and Boardwalk Hall. Also nearby is the Dante Hall Theater of the Arts. The motel features a fitness facility. Other amenities include a bar/lounge and a 24-hour front desk. 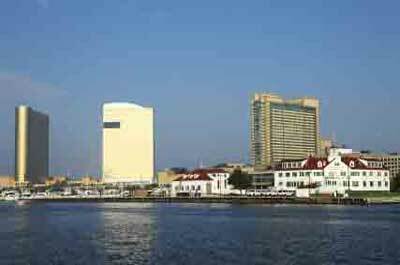 On a tight budget and are looking for a clean, safe economy hotel in the Atlantic City area and are willing to travel to get it? 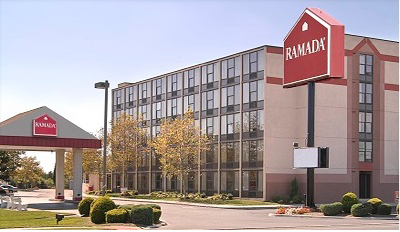 Try the Ramada on beautiful Lakes Bay overlooking Atlantic City skyline, 1.5 mi to beach, boardwalk & casinos - 3 Mi to convention center, rooms W/bay view, casino shuttle, Gold Key, AAA 2-Diamond rating. 141 rooms 7 floors. A top choice for the budget minded. 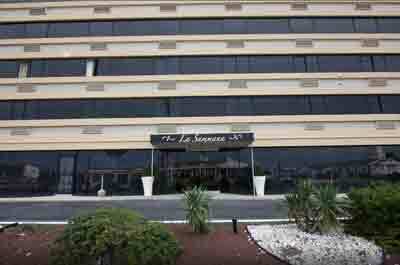 Located five miles from the Atlantic City Convention Center in Pleasantville, NJ, , they offer over 400 feet of living space with all the extras that make a difference while traveling. 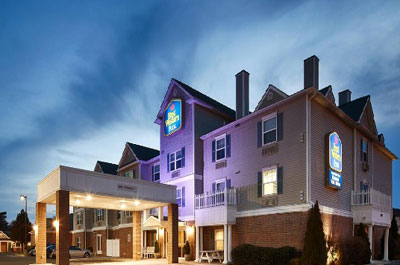 Guest accommodations include a full kitchen, high-speed Internet, cable TV with HBO, two-line phones and an in-room safe. 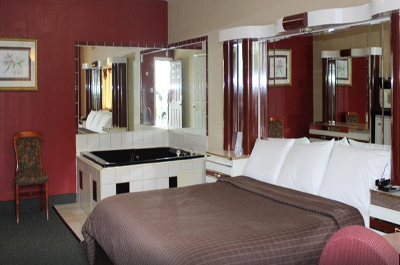 For added comfort and convenience, the hotel offers an indoor pool with sauna and fitness room. 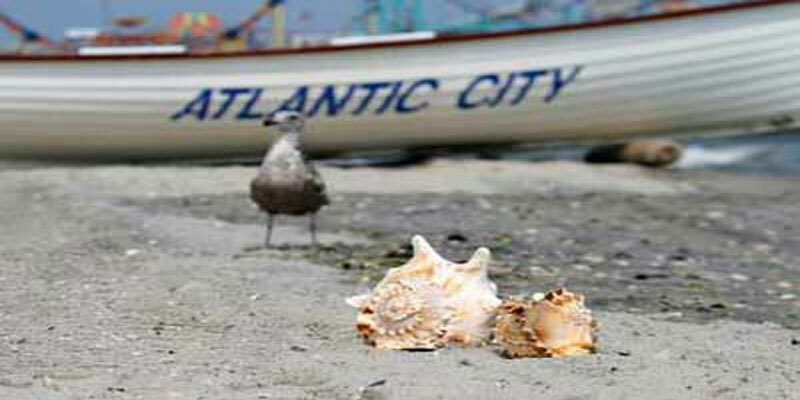 Located in the nearby town just north of AC by a 7 minute drive over the bridge, or take the resort's shuttle to AC. 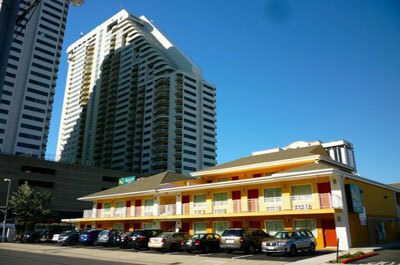 The 62 room hotel is 2 blocks from the beach and offers large rooms, free parking, a fitness center and an outdoor pool. 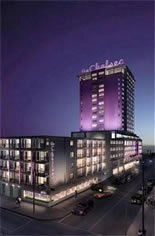 Planning a romantic excursion to Atlantic City, and want a less expensive place to stay? Just 20 minutes away from the action in AC. 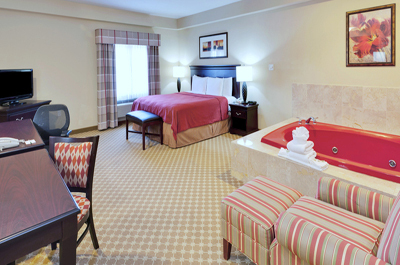 Check in to one of their spacious rooms with an in-room jetted hot tub --- perfect for budget conscious couples.